St Michael's celebrate clinching the Hogan Cup. St Michael’s celebrate clinching the Hogan Cup. College football’s Holy Grail has finally been captured by St Michael’s. The fabled Hogan Cup, a prize which has eluded St Michael’s MacRory Cup winners over the past 45 years, has at last arrived in Drumclay. On a sun-kissed April afternoon at a resplendent Croke Park, a supremely talented group of Fermanagh footballers laid the ghosts of the past to rest. 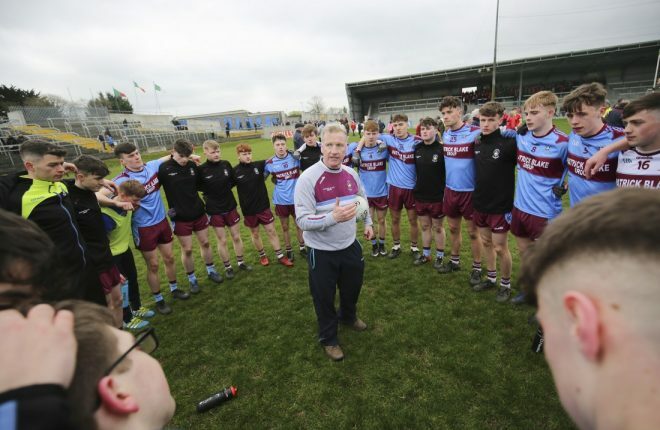 On two previous occasions, the Enniskillen school had reached the All-Ireland decider only to suffer the disappointment of defeat, and defeat by hefty margins. Third time around and those memories were consigned to the past, as this current squad of players produced a match-winning performance. In a drama drenched final ten minutes, seven minutes of added on time adding to the extended agony, St Michael’s had nudged themselves out into a four points advantage. Momentarily it looked to be just enough of a cushion in a well balanced tussle, provided a goal wasn’t conceded. Naas however threw everything but the kitchen sink into an all out assault as they hunted down the scores in a frenzied effort to rescue the day. They swept through in raiding packs to pick off three points. This game was going down to the wire, a white knuckle ride in a frenzied finale. The deficit now down to the minimum and St Michael’s were being pinned back deep in defence. 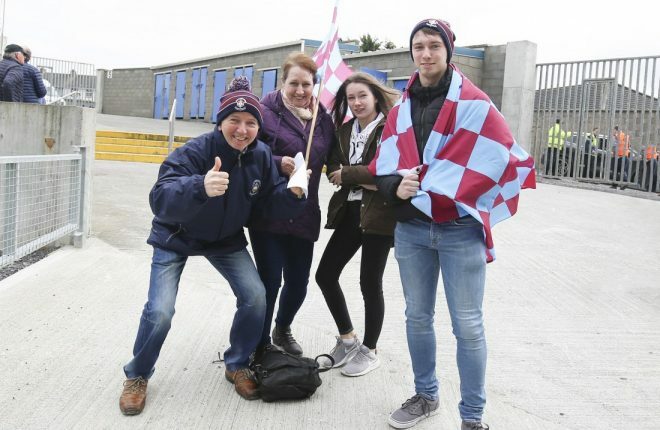 Heroic work being done however by an exceptionally well marshalled rearguard especially the trio of full backs, Flanagan, Cavanagh and Horan and then with the clock ticking into the fifth minute of added on time, St Michael’s launched a break out raid up the Cusack Stand side of the pitch. Corner back Luke Flanagan who had already made a number of forceful runs, embarked on another gallop before sending on to the target man Conor Love. The full forward who had consistently claimed any the ball channelled into him, won possession once again, smartly engineered an opening and knocked over an absolutely crucial score. An element of breathing space, but this intensely taut battle still hadn’t been won. Still time for a relentless chasing side to attempt to claw themselves back. They trimmed the gap back once more to the one point margin, but in a late attack a poor shot selection saw a chance spiral well wide and St Michael’s had held on for an absolutely famous victory, one which will hold a treasured slot in the sporting annals of the college. Unlike the MacRory final, this game didn’t really see truly outstanding individual contributions from any one player. Instead this was a superb collective display from keeper right through to right corner forward with the substitutes who were introduced delivering to the full. Certainly Naas can point to a number of wides especially in the second half, but the vast majority of these wasted opportunities were the result of exceptionally diligent, tenacious and intelligent St Michael’s defensive work. And to counter balance that Enniskillen failed to nail a couple of decent goaling chances. In the middle of the park the pairing of Joe McDade and Brandon Horan more than held their own, while up front the attack always looked inventive, the Naas defence never really at ease. St Michael’s looked the more cohesive side and at a number of stages they played with assured composure. And of course they were facing quality opponents so inevitably they were going to have spells over the course of the final where they were going to be under the cosh. And it was in these spells that the character of the side surfaced. 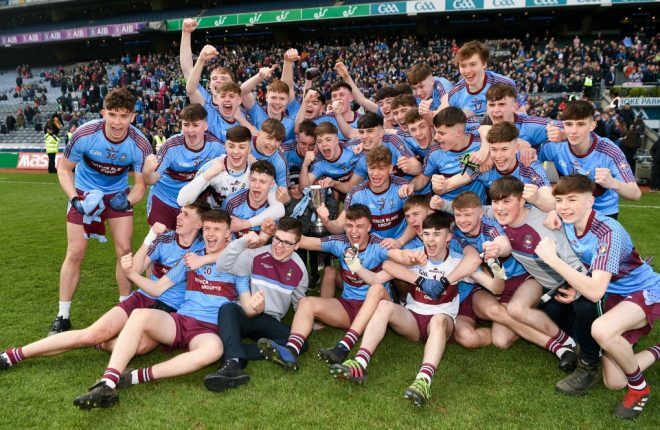 In quite a number of games through this historic MacRory and Hogan campaigns, the resolute traits of the side have been tested to the full. 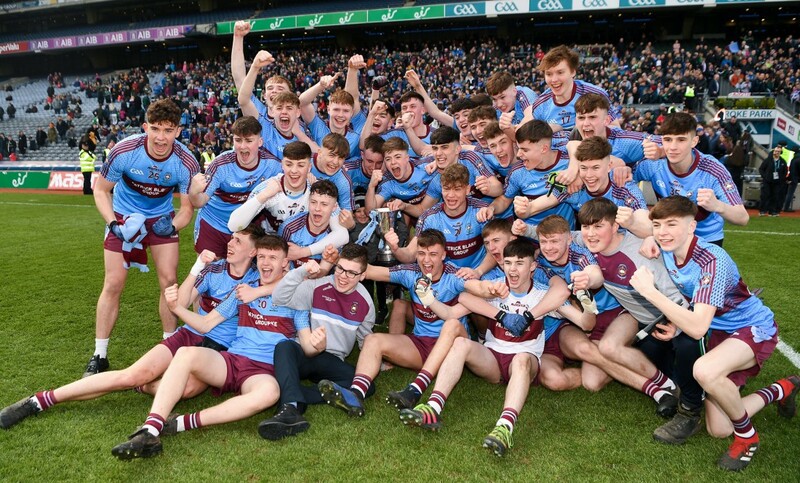 Last Saturday in a vibrant Croke Park, those qualities once more shone through and St Michael’s finished richly deserving winners of the prize above all prizes. St Michael’s made the more positive start with the initial pressure, but there was no reward, a free kick coming back off the upright, a tame shot into the Naas keeper’s hands, another effort fired wide. 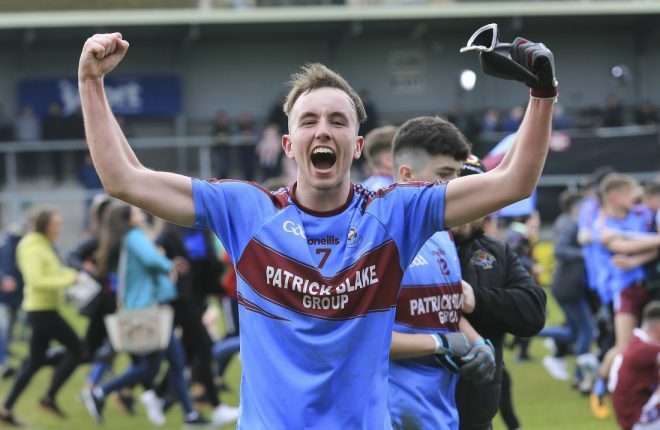 And when Naas in their first serious advance nicked the game’s opening score, corner forward Eoin Conneff screwing over a shot, there was a tremor of anxiety. A little better for St Michael’s over the following minutes, Micheál Glynn drilling over a placed kick and then advancing centre back Josh Largo-Elis coming up to take the final pass in a neat bit of approach play to slip over a second score. Naas responded with a score from Mikey McGovern and then the Kildare side punished St Michael’s to the full for a careless bit of work. The kick out from keeper Sean McNally much too weak and the ball was snapped up by Conneff who raced in and thumped a rising shot to the roof of the net. St Michael’s had been set a question. Could they respond? Indeed they could as they embarked on a sparkling scoring spree which would eventually see them reach the interval two points to the good. Micheál Glynn, who finished the day with a seven points to his credit – five from placed kicks, got the revival up and running with a successful free and the key score then popped up. Brandon Horan made a terrific fetch in the middle of the park from the kick out, the ball was worked through to Darragh McBrien and the wing half forward burrowed his way inside to slip home a deft touch to the bottom corner of the net. Naas levelled the game on 1-3 each, wing half forward Tony O’Connor striding into unexpected space to toss over. However St Michael’s were beginning to look the part and they shot three points prior to the break, but not before they wasted a couple of opportunities. Love squirreled his way in, elected to go for goal, but saw his shot from an angle, zip wide of the base of the upright, corner forward Pól McKervey fired wide, but made amends with his next chance, lofting over a fine score. Glynn struck over a free from 45 metres and slid over the final score of half after the busy McBrien had been once again been impeded. Naas however had kept their scoring ticking over with a placed kick from McGovern so on the resumption it was still all to play for. The Leinster side worked hard on the restart but failed to register and in fact they racked up a number of wides over the 30 plus minutes that remained. St Michael’s on the other hand were more economical, pushing out into a four points advantage with scores supplied by Glynn, he was found by an astute inside pass from midfielder Horan, and Glynn was again on target, coming in on the end of tidy approach play that had marauding corner back Luke Flanagan initially involved, Love shovelling on the final pass. Into the middle stages of the half and the personnel changes were now being rung. A point each traded in this finely poised game, both teams in with every chance of coming out on top. St Michael’s eventually did steal out into a four points lead, good scores coming from Darragh McBrien and Conor Love both from patiently constructed play, Glynn steering over a mid distance free. Naas however were always posing a threat, St Michael’s keeper Sean McNally had to pull off a top notch stop. Points duly came from wing half McDermott who surprisingly was unchallenged as he advanced through the centre and another point added to leave a scoreline of 1-11 to 1-8 with five minutes left on the clock. The game then went into frenetic mode as Naas built a storming fightback. 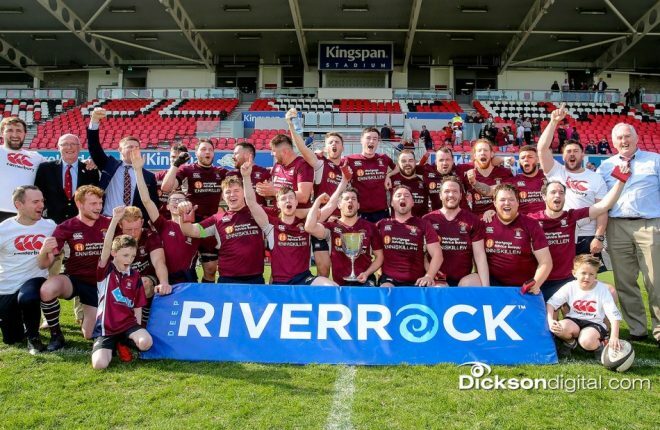 St Michael’s were going to undergo as stiff an examination of their quality as they have faced since the start of the campaign back in the late autumn. Naas frantic in search of equalising scores, St Michael’s defending with resolute purpose. Keeper McNally pulled off his second super stop of the day, a goal for Naas would surely have won the day for the Kildare college. Points did come as the six minutes of added on time was signalled. It was the onset of a simply frenetic finale. The lead down to the bare minimum and still enough time on the clock. St Michael’s in what had become a relatively rare breakout, fashioned a point, the ball worked out from deep defence, Flanagan making strong progress up the wing, the ball transferred into Love who manoeuvred space and clipped the score. Not over yet, Naas back with a McGovern pointed free and back they came with a last ditch assault only to see a hasty shot soar well wide. The day won by St Michael’s. 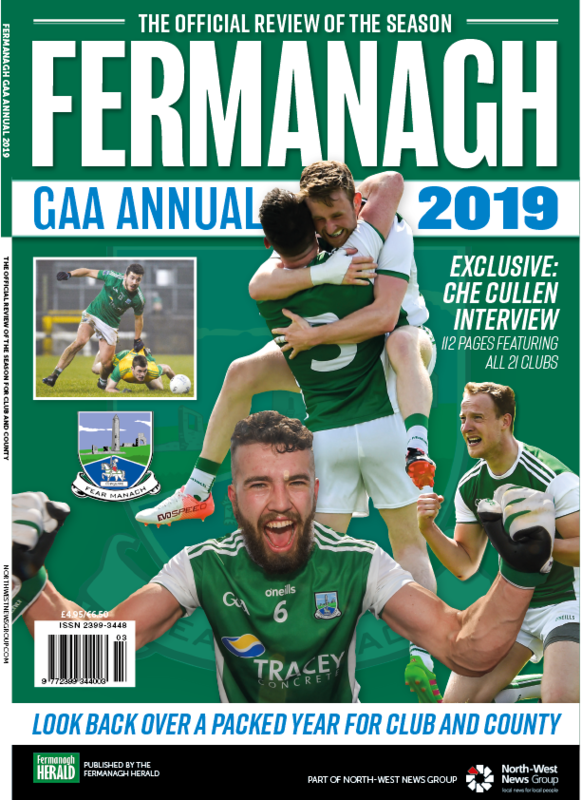 A wonderful day for the college, a wonderful day for Fermanagh football. Sean McNally; Luke Flanagan, Garrett Cavanagh, Josh Horan; Aichlinn Ó Catháin, Josh Largo-Elis (0-1), Ronan McHugh; Brandon Horan, Joe McDade; Caolan Duffy, Micheál Glynn (0-7, 5f), Darragh McBrien (1-1); Pól McKervey (0-1), Conor Love (0-2), Tom Keenan. Subs; Glenn Treacy for McKervey 36m; Garvan Quigley for Keenan 41m; Conor McAloon for Duffy 58m. David Morrissey; John Lawlor, Conal Ó Gallachobhair, Jack Hamill; Kevin Quinn (0-1), Eoin Archbold, Paddy McDermott (0-2); Jack Cleary, Liam Broderick; Tony O’Connor (0-1), Alex Beirne, Drew Costello; Mikey McGovern (0-3,2f), Dermot Hanifin, Eoin Conneff (1-3). Subs: Conan Boran for Ó Gallachobhair 40m; Simon Murphy for Hanafin 36m; Rian Monaghan for Broderick 40m; Harry Carroll for Archbold 54m. While it was team effort more than individual brilliance which won the day, if only for the sheer amount of ball he put through his hands, covering every sector of the pitch, carrying and distributing to telling effect, Micheál Glynn’s contribution stands apart, his seven point haul equally immense. A big player on biggest stage of all. McBrien’s goal was a prime example of quality finishing. McKervey curled over a beauty from under the Cusack Stand. But the score which best illustrated the side’s team work, skill and self-belief was Glynn’s 34th minute point. Starting the move himself from a sideline free, Flanagan taking a McKervey pass for a surging run, perfectly flighted kick pass to Love, finding Glynn on the burst powering through. With just a goal between the sides and Naas piling on the pressure, Sean McNally’s brilliant 59th minute save, shortly after hitting his head off the post, was a match-winning moment. Had an equaliser been scored, the Kildare side’s momentum would likely have gathered unstoppable velocity. His earlier, less noticeable block, was of key importance too. So many. As a sector the full back line was magnificent. Individually, Joe McDade did a lot of under the radar work, including a couple of fine high catches; but turning to left field perhaps, for so well exemplifying the side’s tireless work ethic, both having given their all prior to established substitution sequence, the accolade is shared between Tom Keenan and Pól McKervey. Though Naas may have felt that some on a few occasions their opponents seemed to get frees easier, neither side could have any real complaints about Rory Hickey’s performance, the Clare official, high in national rankings, effortlessly controlling a totally sporting contest, not a card until the 54th minute, just one apiece in all.